Earlier this week it was revealed that the legendary rock band, Guns N’ Roses, are stopping in Montreal on their Not In This Lifetime…Tour. The American hard rock band will be performing at Jean Drapeau Park on August 19, 2017 as part of the sixth and final leg of their tour, one that has taken them everywhere from Asia to Latin America in the past year. Leg 6 of the band’s tour consists of cities in the North America, including six stops in Canada. Since Guns N’ Roses performed in Toronto last July, they will be skipping Canada’s largest city on this final portion of their tour. However, they will be making appearances in Ottawa, Winnipeg, Regina, Edmonton, and Vancouver. 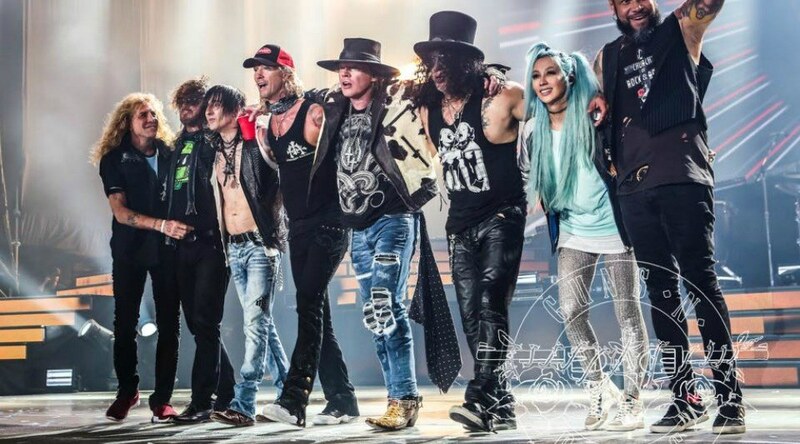 Featuring Axl Rose, Slash, and Duff McKagan, the Not In This Lifetime…Tour marks the first time that the trio have performed together since 1993. Playing singles from 1987’s “Welcome to the Jungle” to 2008’s “Chinese Democracy,” Montrealers can expect to hear a wide range of the band’s music. We are certainly excited to hear “Sweet Child O’ Mine” at Montreal’s best outdoor music venue. This is sure to be a concert for the ages.